LENAX is well versed in the various contracting methods used in the construction of community colleges. Our services are utilized from conceptual program planning to final design completion, and through construction. We are sensitive to campus standards and recognize that the level of sophistication required at institutes of higher learning are often stakeholder driven. LENAX's seasoned professionals are well versed in community college campus construction issues and provide risk identification/mitigation services, and provide all activities necessary to control cost and time resources in executing all phases of a construction program. With knowledge of LEED, ADA & DSA standards, our professionals contribute to school buildings that are safe, comfortable learning environments as well as being equipped with the state-of-the-art tools they need to help students succeed. 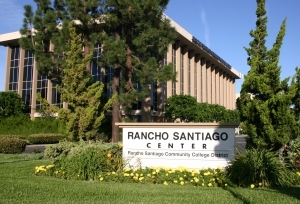 Home to Santa Ana College who opened its doors in 1915, Rancho Santiago Community College District (RSCCD) is one of the oldest community college districts in Southern California. In addition to Santa Ana College is one of the newest community colleges, Santiago Canyon College. Together they serve a district of more than 700,000 residents. Begining in 2002, voters approved a $337 million dollar general obligation bond to renovate, modernize, construct new facilities to alleviate overcrowding and to expand education and training programs. Proposing to commence construction in 2018 for completion in 2020, LENAX is providing cost estimating support directly to RSCCD by conducting research, providing assessments of construction projects, and preparing cost estimates by collecting data of costs for labor, materials, and the breakdown and timeline for construction. The Los Angeles Community College District (LACCD) is the largest community college district in the United States, consisting of nine campuses and serving more than 250,000 students in 36 cities. Starting in 2001, LACCD launched a $6 Billion Sustainable Building Program to modernize and improve the District's campuses, that provided training in the fields of public safety, manufacturing, technology, nursing and other health care related specialty fields, construction, entertainment, culinary arts, and many more. LENAX provided key support services for a large number of projects on all of the nine campuses, as well as providing program support services and assistance to the LACCD District Office. Long Beach City College (LBCC) is located in the city and Long Beach, California. It was established in 1927 and is comprised of two campuses; The Liberal Arts Campus (LAC) and The Pacific Coast Campus (PCC). LBCC is the only college in the Long Beach Community College District (LBCCD), serving about 32,000 students in four cities. Responding to an urgent need to both remodel, renovate, and upgrade classroom technology and high-tech training labs, repair aging roofs, electrical and HVAC systems in their existing buildings, while also expanding to accommodate new programs and enrollment demands, LBCCD issued two construction bond programs in 2002 and 2008, totaling $610 million dollars. Additionally, several new buildings were constructed on both campuses; an Industrial Technology Building and a Child Development Center at the PCC and New South Quad Complex and Parking Structure at the LAC.